Do you have a life goal? 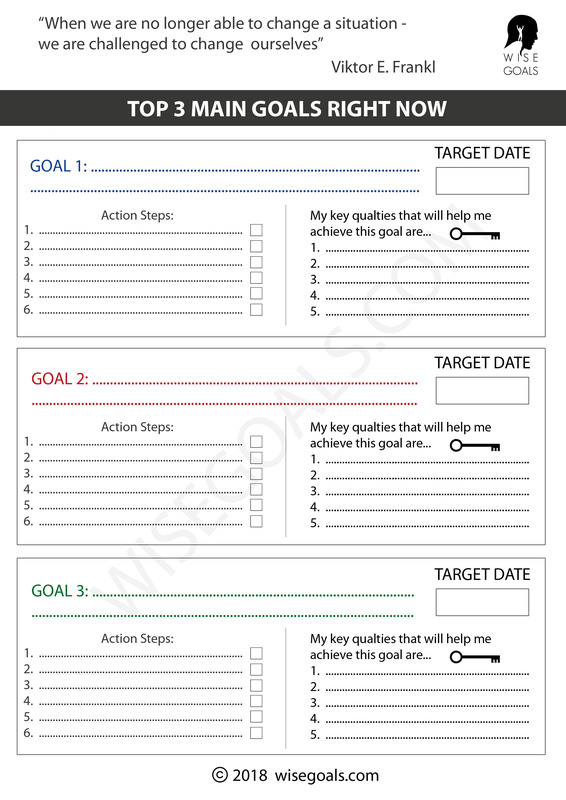 Sometimes it's hard to think even this week let alone in terms of life goal setting! Have you ever considered what it is you hope to do in this lifetime? Big question I know! 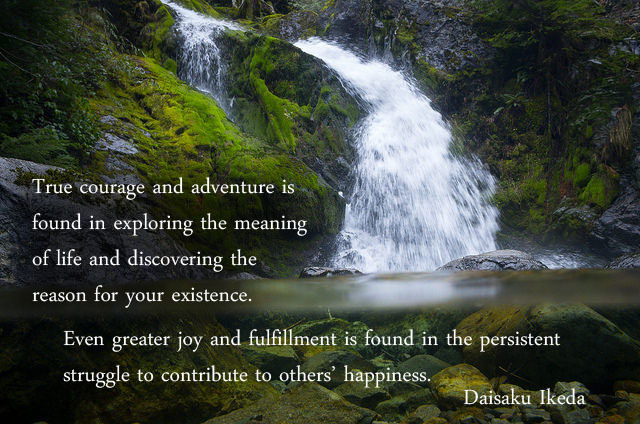 Here I consider what it means to have a life goal or life purpose and how to go about beginning to create one. Can we contribute to others' happiness today and tomorrow? Life goal setting is similar to having a mission statement. An evolving statement that summarises what is most important to you. If we think about a company. They have short term and long term goals. All sorts of targets in different areas. Everything is driven however, or in an ideal world should be driven, by the mission statement. The whole purpose of it's existence. 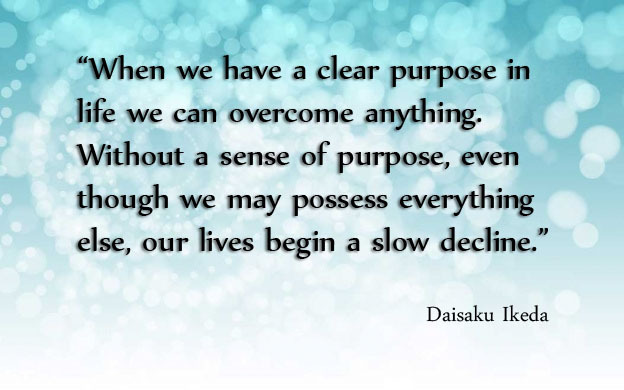 So what is the purpose of your life? in your own words? I read an pretty decent book recently that gives us an easy way to begin to shape our very own mission statement, or underlying purpose in life. The instructions below are from "The 7 Habits of Highly Successful People" by Steven Covey as he talks about the 2nd habit, "begin with the end in mind". Can we find that quality and learn something and grow in each encounter? He says, imagine you walk into a funeral, 3 years from now. Imagine the place in lots of detail, all your friends are there, your family. You walk to the front of the room and look in the coffin, and it's you in there. It's your funeral. All your friends and family and everyone close to you have come to pay their respects and remember all that was great about you. There will be 4 speakers, one from your family, one close friend, one from your work, and one from some community group you belong to. By imagining what you would like each of these people to say about you in great detail you can paint a picture of what you really want to be, how you really want to live, what is really most important to you. A collection of these statements will make up your mission statement. How do we best use our lives? During our short time here? Next the aim will be to continue to live your life in all areas, family, friends, work, faith, but this time bearing in mind this idea of how you would like to be remembered. Will this change your behaviour? The way you work? The way you relate to other people in your life? Having a life goal, a life purpose, a life mission, that is yours and yours alone. You and only you can decide what it is, how it will look, how it will be lived out. I hope you begin to construct a personal mission statement; A standard to which every day can be held up against from today onwards. Split-Level View of Waterfall, OR by Thomas Shahan (text added by me). Attribution 2.0 Generic. 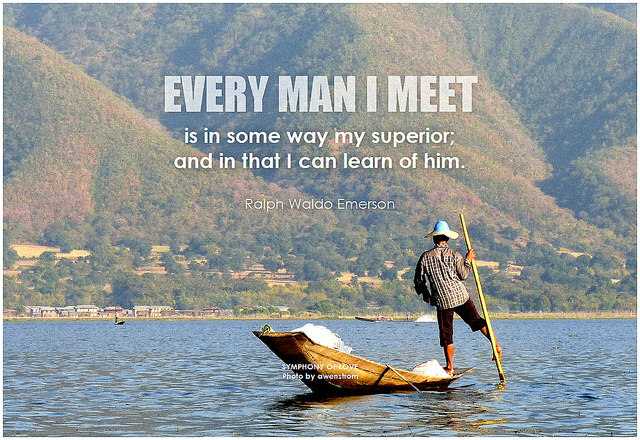 Ralph Waldo Emerson Every man I meet is in some way my superior; and in that I can learn of him by BK. Attribution-ShareAlike 2.0. Nightlights Background in Clear Blue Sky by BackgroundsEtc (text added by me) by webtreats. Attribution 2.0 Generic.